On Tuesday evening, Bedales was delighted to invite Professor Lucie Cluver to the second annual Global Awareness Lecture. A group of us, both staff and students, were lucky enough to have supper with Lucie as she spoke to us about everything from American politics to threatening her parents with a UCAS application to study hairdressing. After supper we made our way to the SLT to hear her interestingly titled lecture ‘Snakes, Gangsters and Gunfire: Using science to change AIDS policy in Africa’. We were certainly not disappointed. Lucie’s passion for helping others was conveyed clearly from the moment she started talking, taking the audience on her journey through Sub-Saharan Africa in support of her PhD. She spoke of how her research advanced into more, allowing young people in AIDS-stricken communities to get the treatment, protection and care they needed. Her lecture also included a wide range of anecdotes that captured the audience’s imagination; she recounted the moment she challenged the head of the World Bank as well as having a gun held up to her head when parking her car in the wrong place. 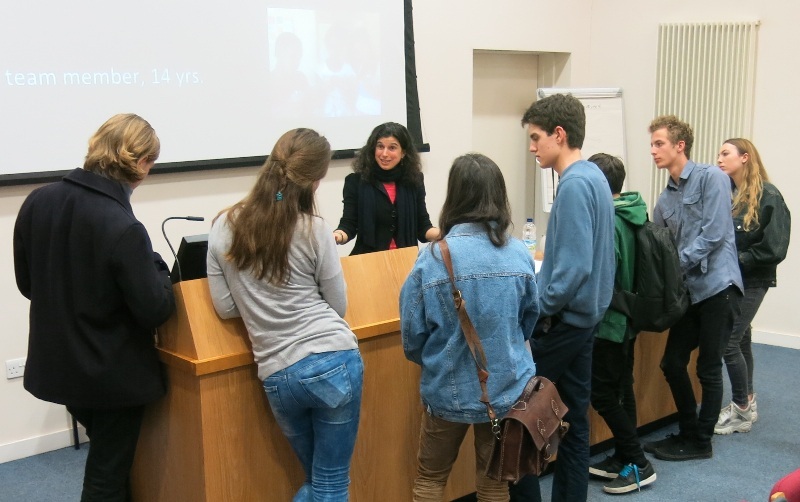 The evening ended with many inquisitive audience members, mainly Bedalians, quizzing Lucie on her experience in Sub-Saharan Africa, how she wishes her research to progress and how organisations like the WHO and Unicef were involving themselves in her research. Thank you very much to Lucie for her lecture as well as Annabel Smith for organising the evening; we hope next year is as successful as Tuesday night was. This entry was posted in Bedales School, Global Awareness and tagged Africa, AIDS, Gangsters and Gunfire: Using science to change AIDS policy in Africa, Global Awareness Lecture, Professor Lucie Cluver, Snakes, Unicef, WHO, World Bank by Bedales School. Bookmark the permalink.